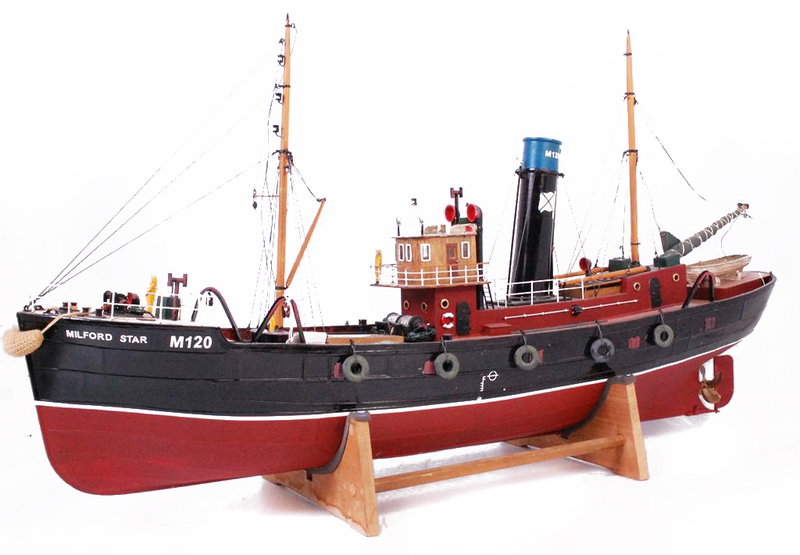 Here we have a very attractive side trawler, typical of the 1930s and 40s. 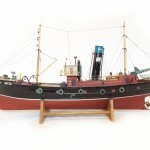 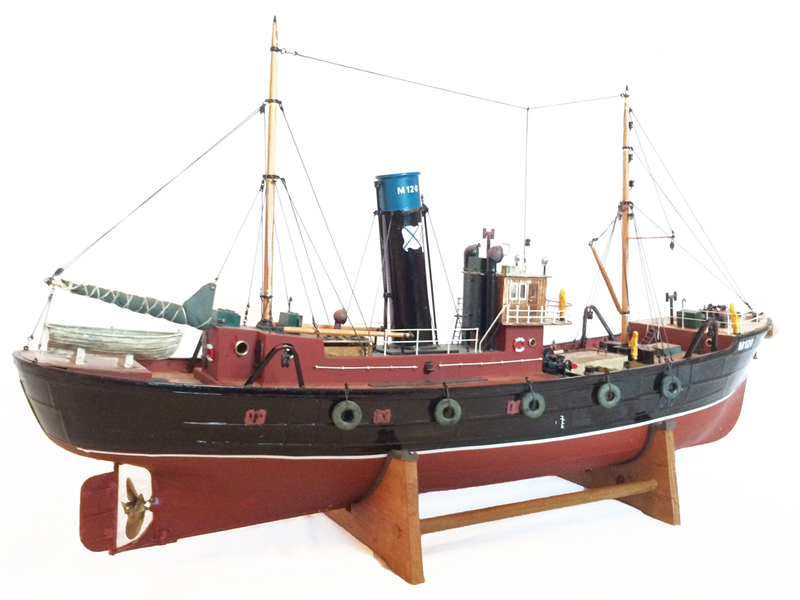 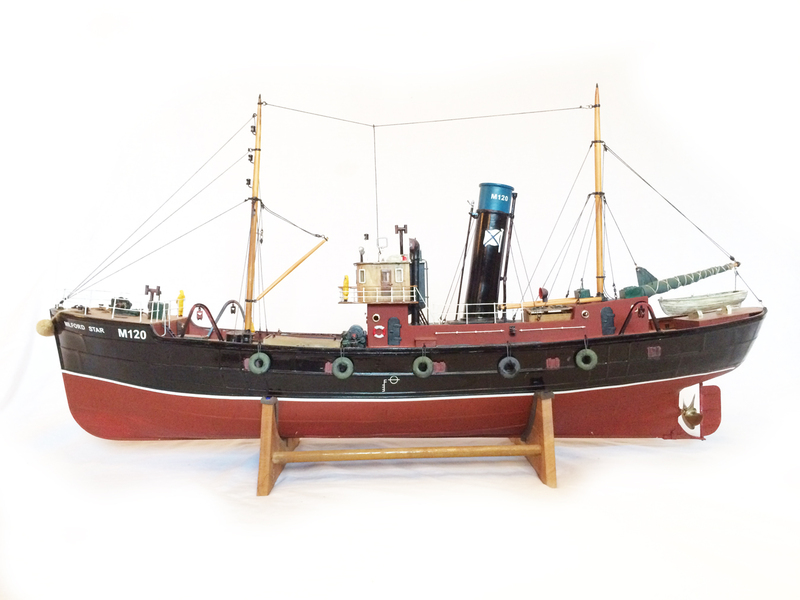 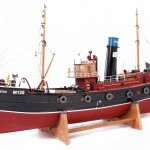 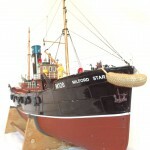 The ‘Milford Star’ design is based on the hull lines of Star of Orkney, a 1936 Trawler which was actually converted to trawler in peace time from one of eight ‘Round Table’ Class minesweepers built for war service around 1943. 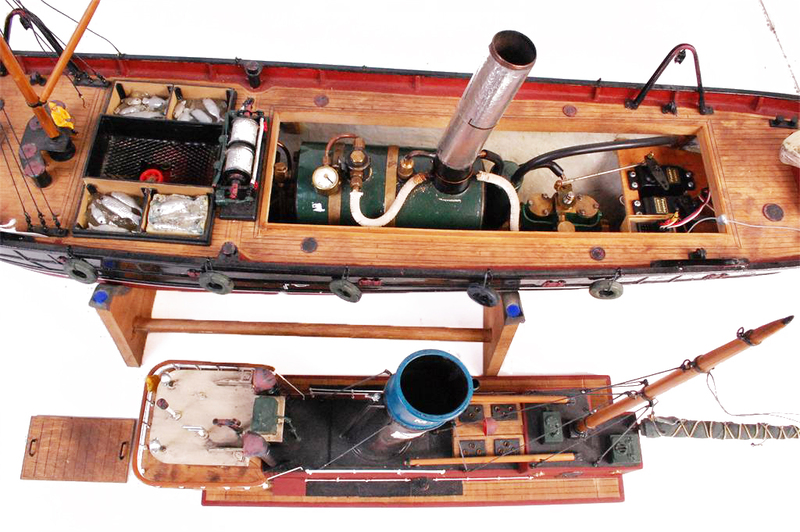 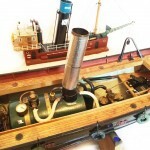 The Round Table class were steam powered and coal fired, and accordingly the model is fitted with a fully lagged horizontal boiler feeding a twin cylinder oscillating engine and driving a single screw prop. 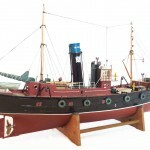 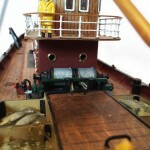 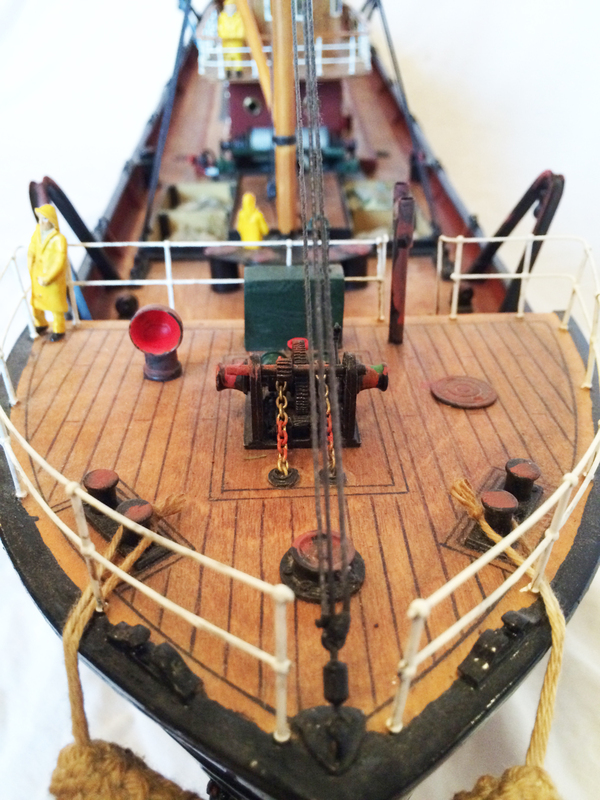 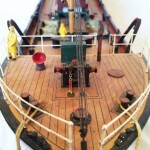 The hull of the Model is a fully detailed GRP moulding, and the deck and superstructure is mostly constructed from CNC cut ply. 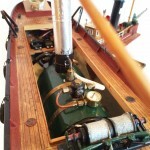 A full set of white metal fittings, dowel, tube, rod etc. 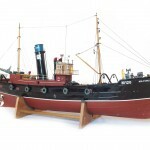 to complete the model as illustrated. 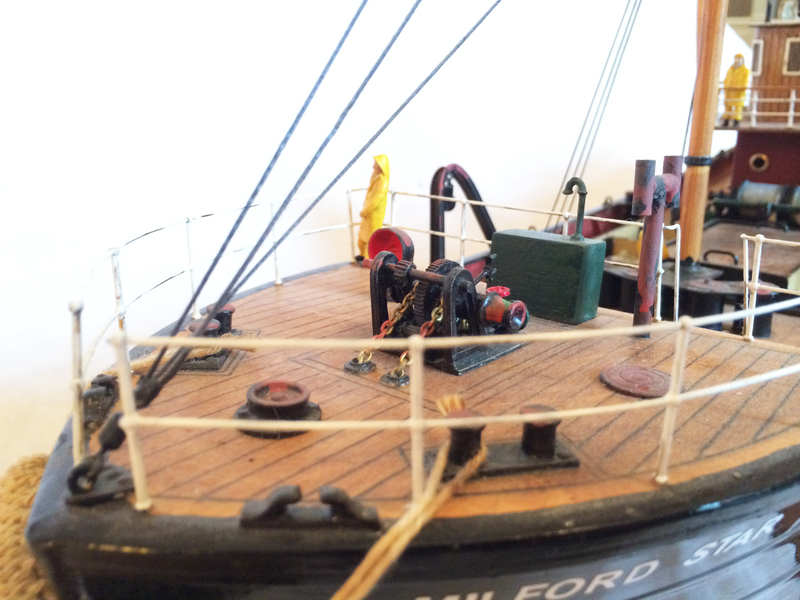 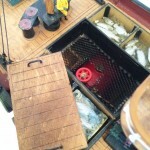 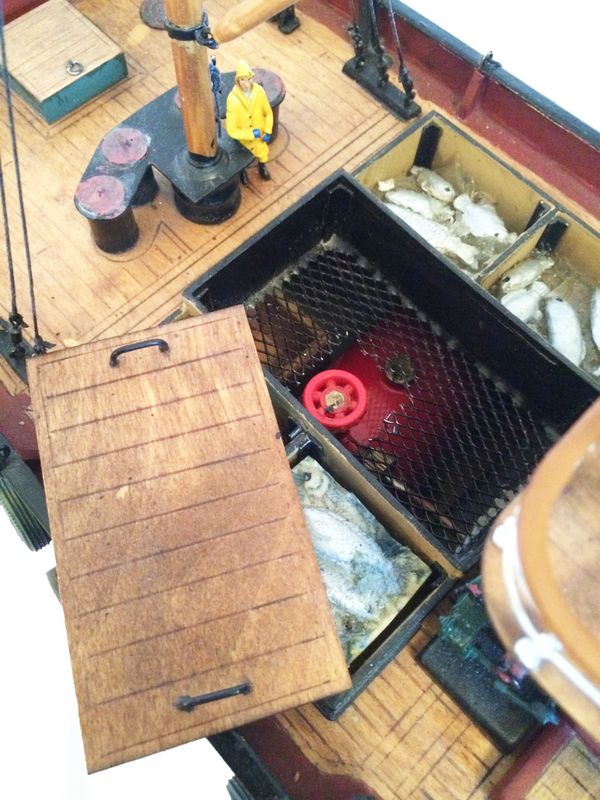 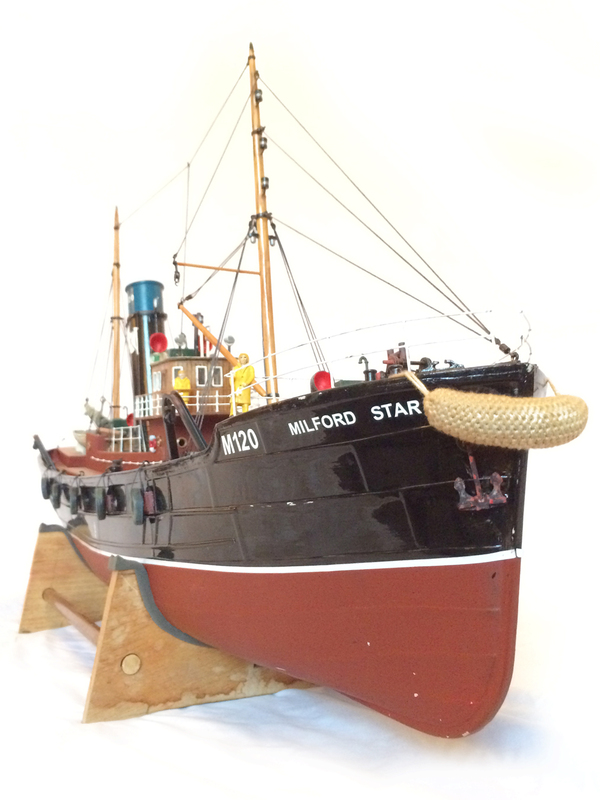 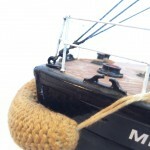 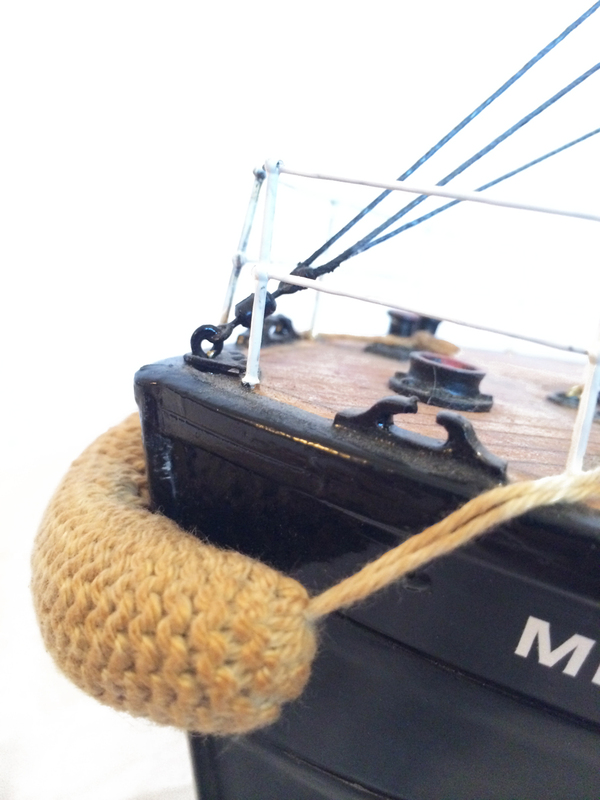 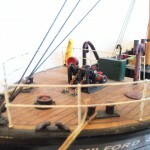 The Milford Star benefits greatly from the added paraphernalia of nets, buoys and ropes. 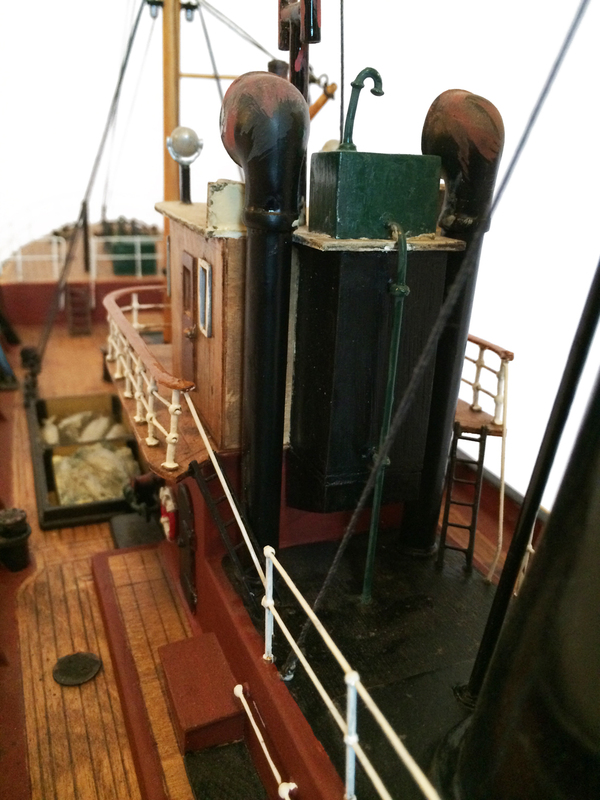 Internal lighting can be added to give additional realism to those late night Summer and Autumn sailings. 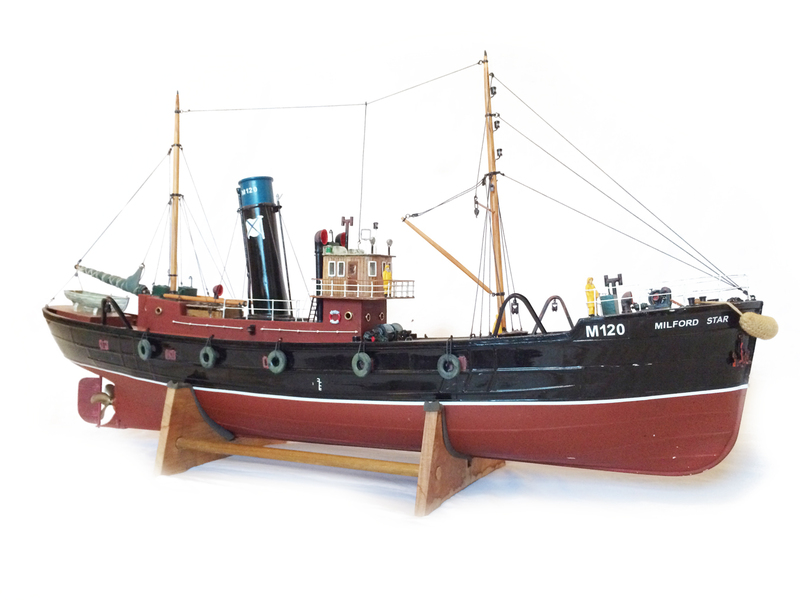 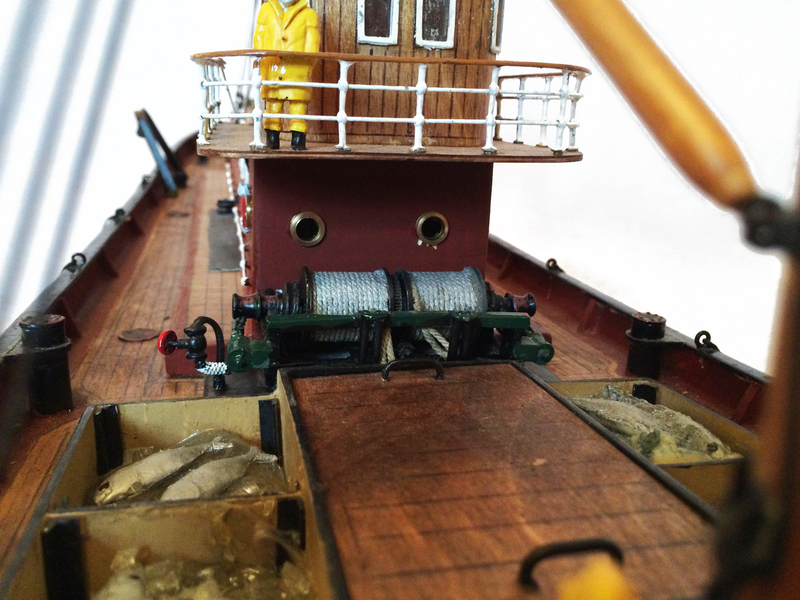 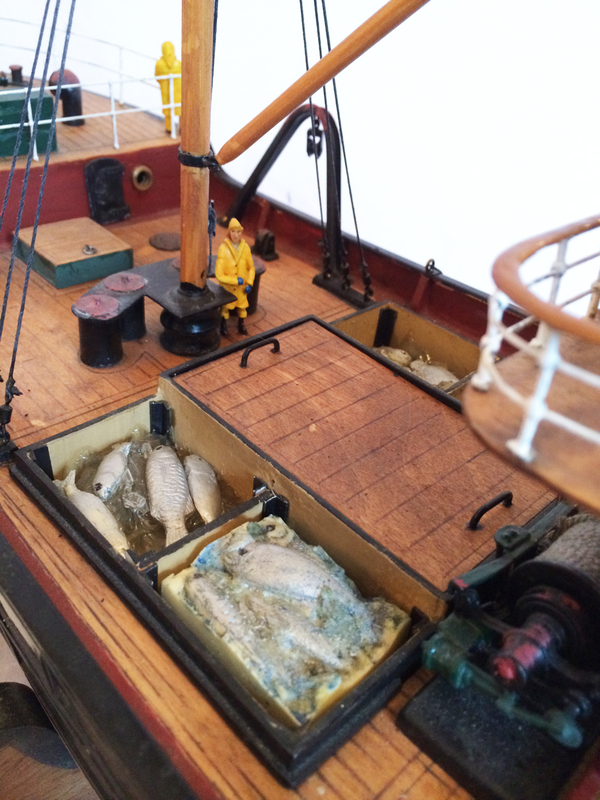 The model was built from the Caldercraft kit to the scale of 1:48, which was definitely not a kit for beginners! 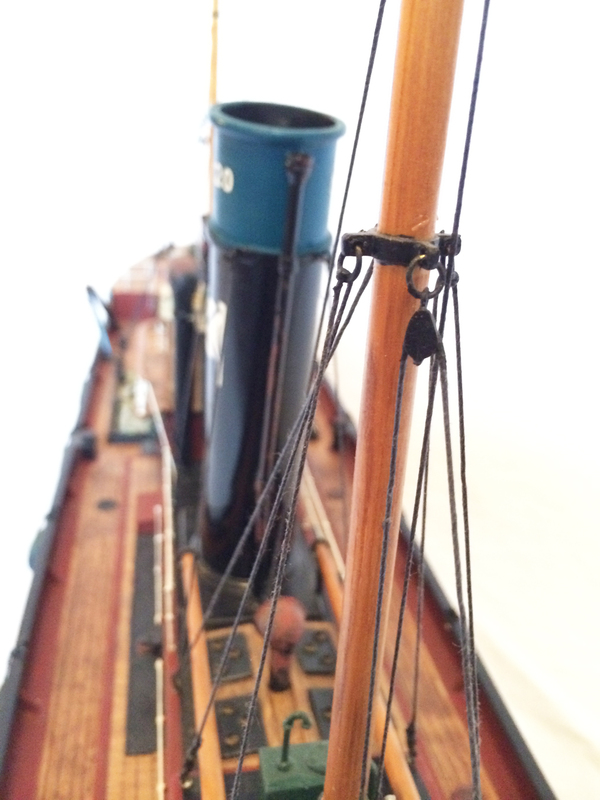 The instructions were pretty vague with only one large un-scale and un-detailed drawing. 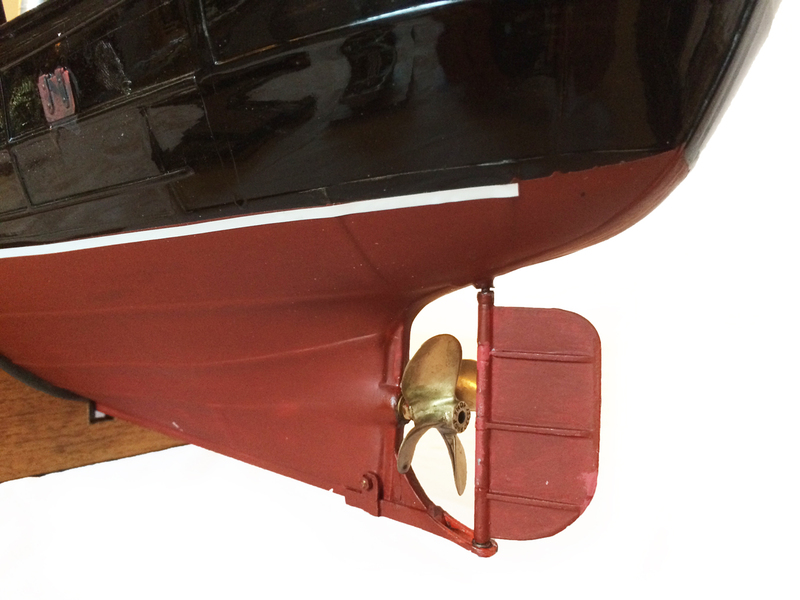 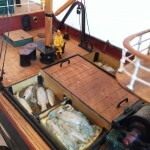 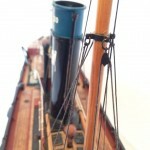 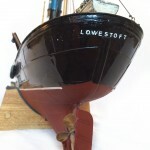 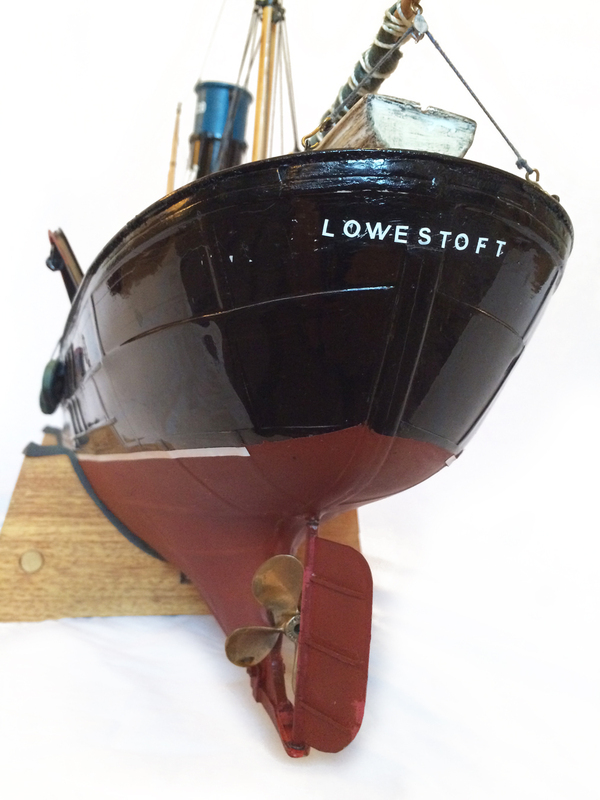 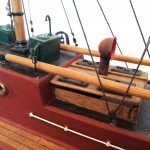 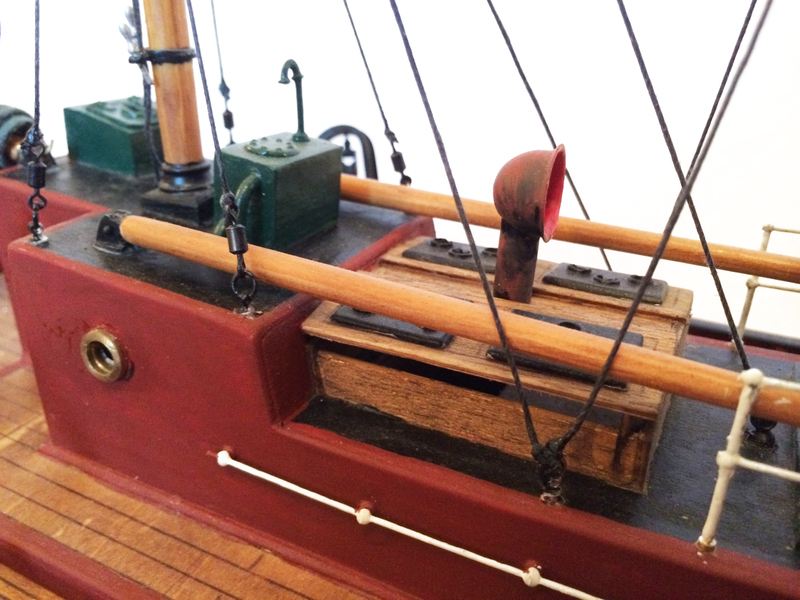 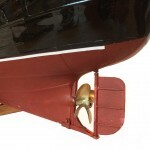 In the hands of a skilled modeler however, it has been built here into a cracking model which performs beautifully on the water, particularly at scale speeds. 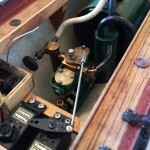 It’s all wired up, and fitted with regulator and rudder servos. 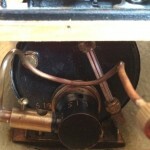 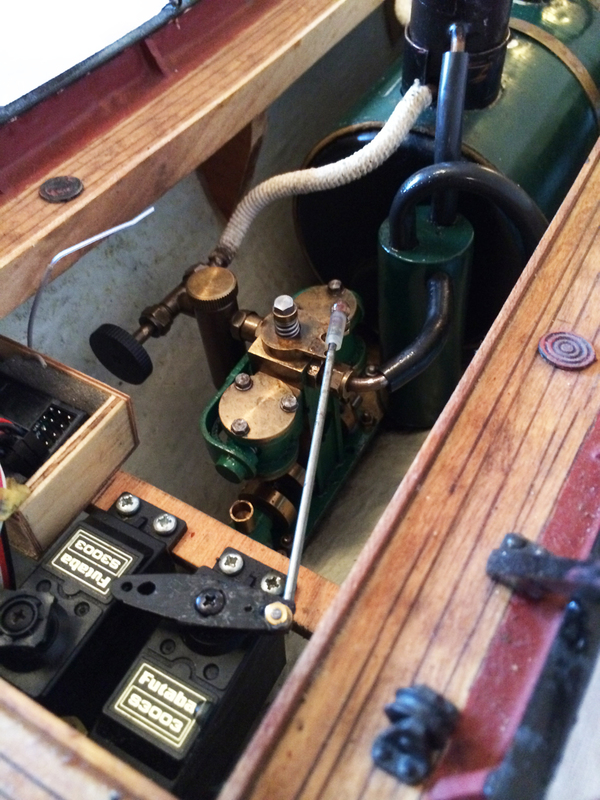 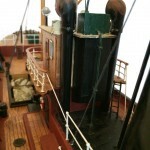 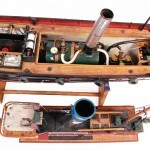 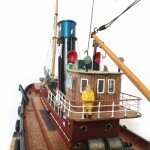 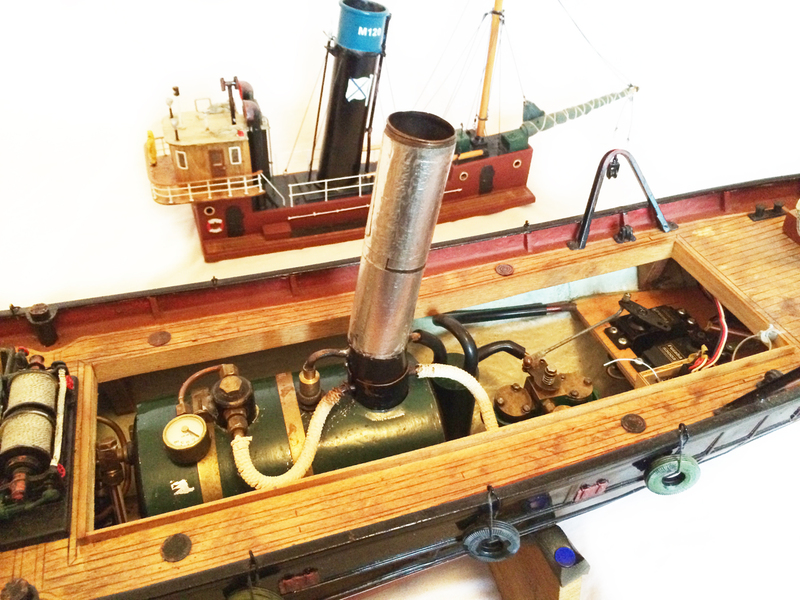 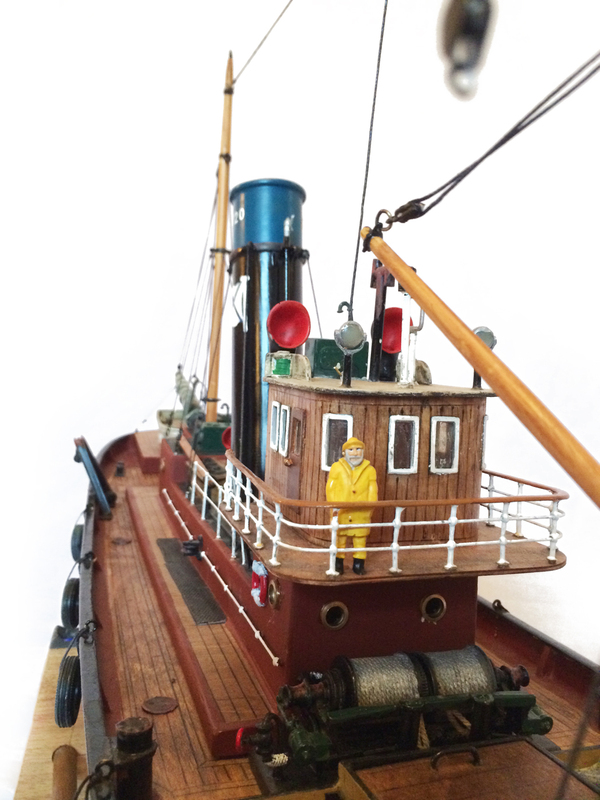 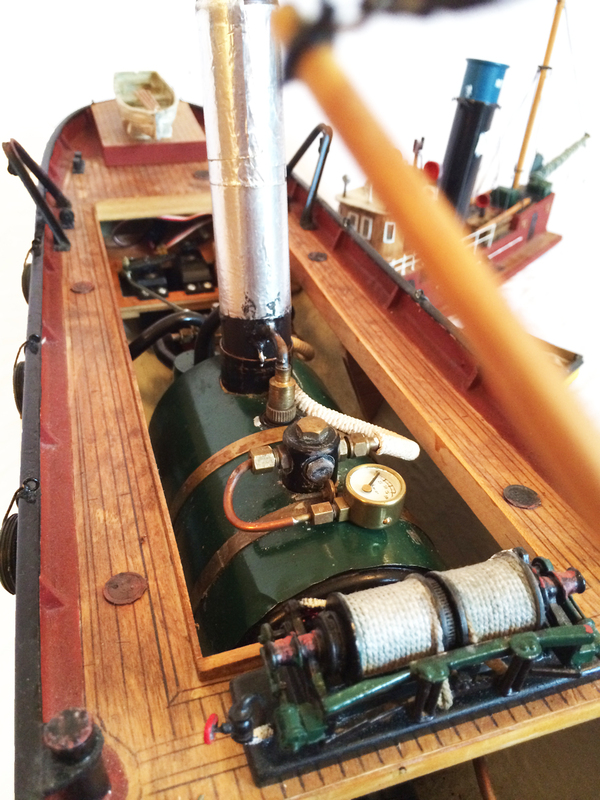 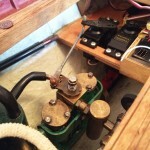 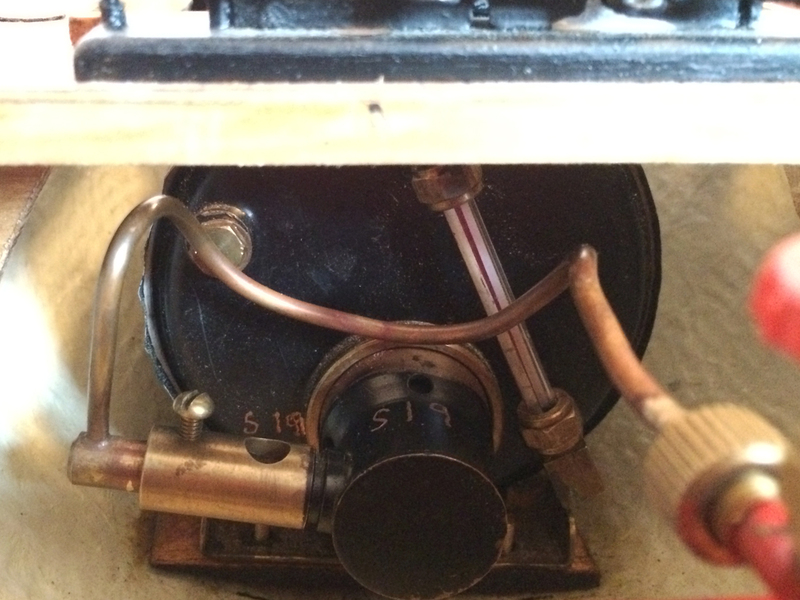 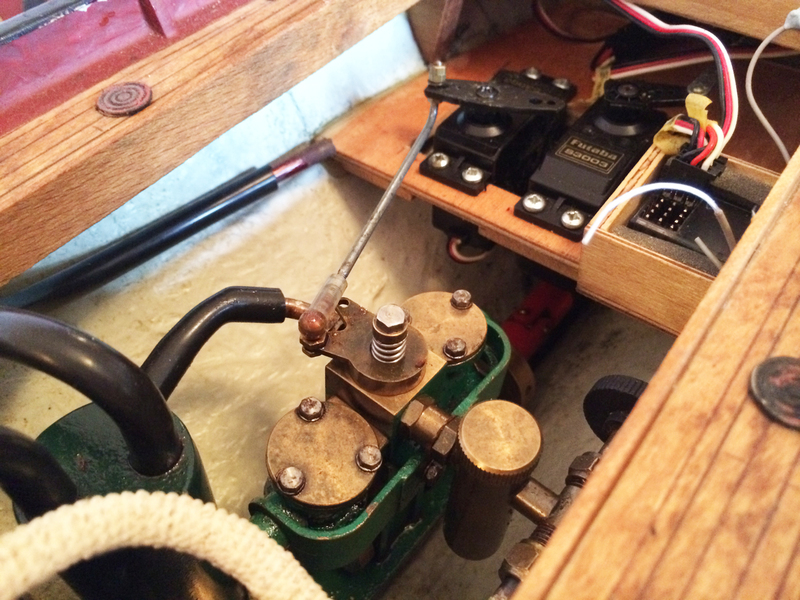 The boiler is gas fired through a regulator from the usual re-chargeable tank, and she comes on a sturdy fitted stand, although you will need to add your own radio gear if you wish to run her.